River Inney. | Launceston Then! The River Inney passes under Trekelland Bridge in 2014. 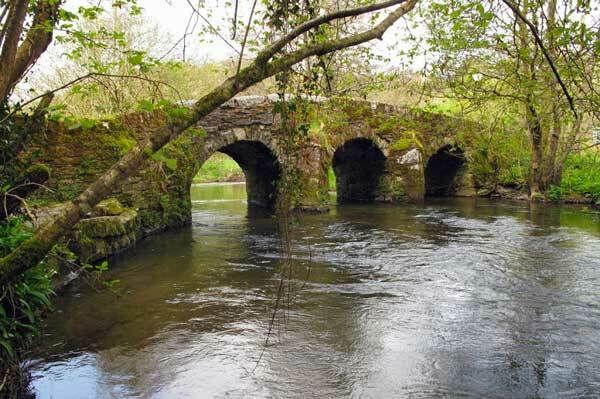 The River Inney (Cornish: Dowr Enni) is a tributary of the River Tamar and is about twenty miles long from its source near Davidstow on the eastern flank of Bodmin Moor to its confluence with the Tamar at Inney Foot near Dunterton. The River Inney’s catchment is 108 square kilometres. The course of the River Inney is initially east-southeast where it runs down from the moor to St. Clether where it is sanctified by the water running from the famous Holy Well. From here it winds its way past Laneast towards Gimbletts Mill (below) which was rebuilt after the 1847 flood. 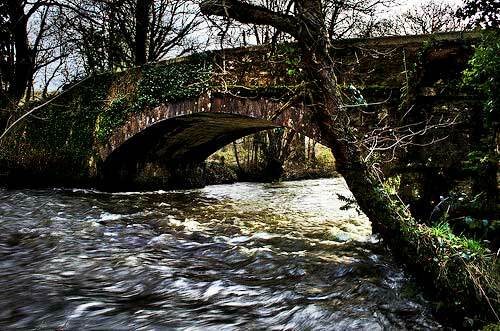 From here the river continues its path past Trewen Mill towards Hick’s Mill where one of the bridges small arches is thought to be the remains of the original ancient bridge. This road was once the coach road from Launceston to Bodmin before the construction of Two Bridges in the early nineteenth century. 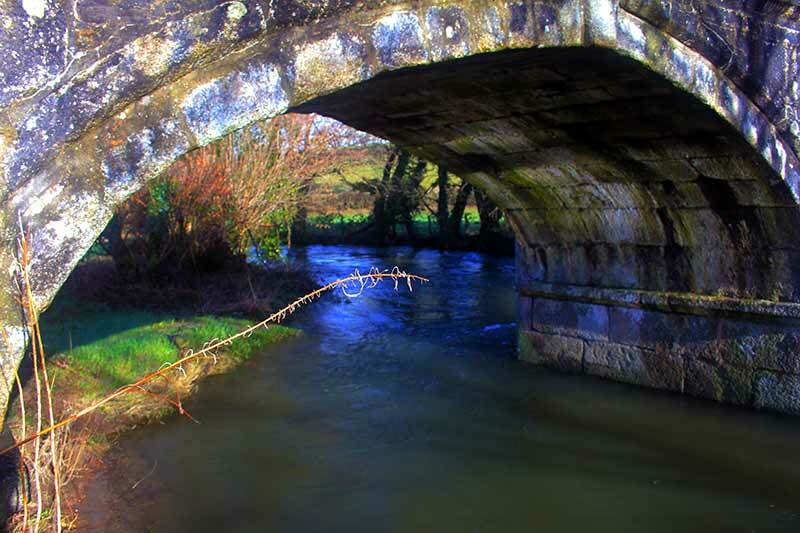 It is here that Penpont Water (lesser Inney) the main tributary, concludes its journey down from near Bowithick on Bodmin Moor through Altarnun under Trewithick (Treythick) Bridge and running past Polyphant. At Two Bridges the combined rivers now run southeast passing under Lewannick and through the Trelaske estate where it reaches Trekelland Bridge (Trekelryn). From here the Inney Valley opens out as the river continues under the Ruse Mill and Trecarrel bridges (both rebuilt after the 1847 flood). 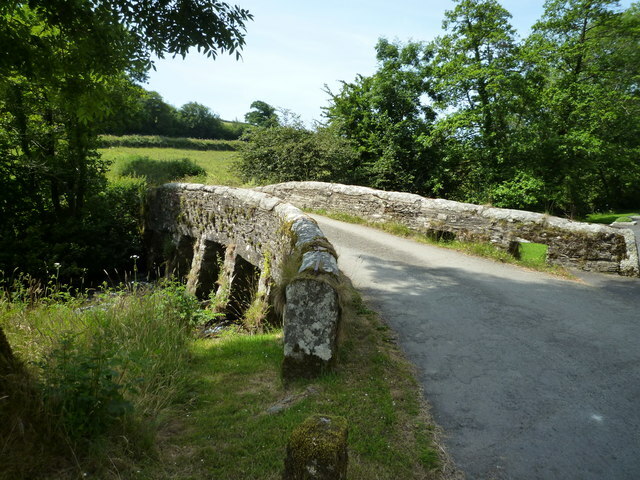 It is over the later bridge (below left) that Charles I passed over with his army on August 2nd, 1644, when marching from Trecarrel Manor to Liskeard. The Inney then passes by Trekenner Bridge (above right). At one time this bridge carried the main Launceston to Callington coach road, but in 1836 a new road was cut through further downstream with the construction of Wooda Bridge. From here the Inney Valley opens out into a wide majestic valley as it glides towards Beals Mill, With the new road cut, the traffic that also went by Beals Mill Bridge was also diverted. This Bridge, which is the lowest on the Inney, had its 2 arches rebuilt after the 1847 flood. It is mentioned in Launceston Catulary with a John Bile keeping the mill at Biles-Brigge in 1388. From here the Inney heads due east for the last few miles of wooded glen of Carthamartha (Caer-Tamar) to its confluence with the Tamar. It is here in 1814 that J. M. W. Turner ran off a series of sketches of the area. One of the great cliffs towering above the rivers at Carthamartha is Bishop’s Rock which offers spectacular views. Carthamartha House (below) was originally on the Bedford Estate and was used as a summer retreat by the family. The Duke, at one time had large aviaries located near from where he bred budgerigars. The re-knowned artist, Arthur Bevan Collier once lived at the house, but when new owners moved in they felt it was haunted and had it demolished and built a new bungalow on the site. 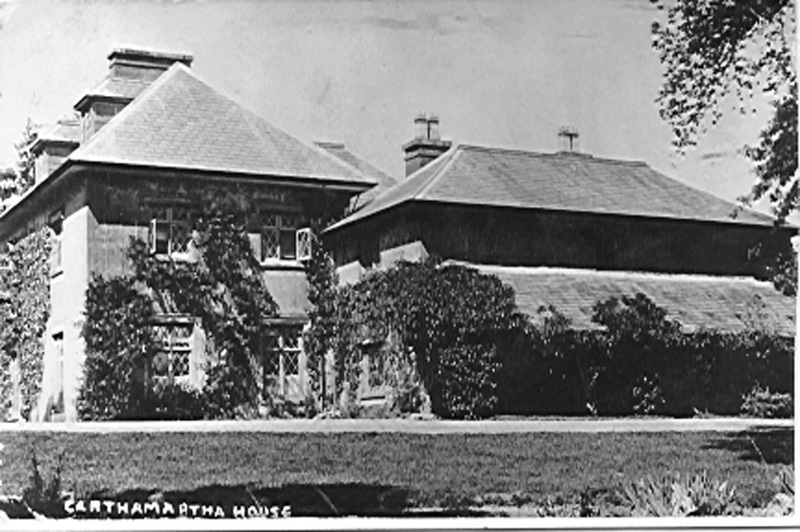 Carthamartha House. Photo courtesy of Jill Price.